The Indian fashion ecommerce company, Jabong used Truecaller to connect with affluent smartphone users during sales period, clocking a whooping 133 Mn Impressions in 1 day. Jabong caters to the fashion needs of men, women & kids across footwear, apparel, jewellery & accessories. The brand wanted to create high visibility among smartphone users with data connectivity & reach out to them during the Valentine's Week Special Sale. Founded in 2012, the company is one of the largest online fashion retailers in the country, with over 15 million users. Jabong organises sales events over a limited time period, typically three to five days, with each event featuring either a single brand or a small group of brands. Visitors can access the sales via desktop, mobile web, Android or iPhone apps. 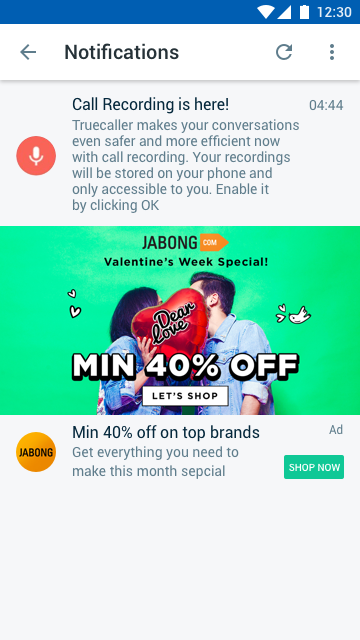 Jabong wanted to target the smartphone users in india on its Valentines Week Special Sale. 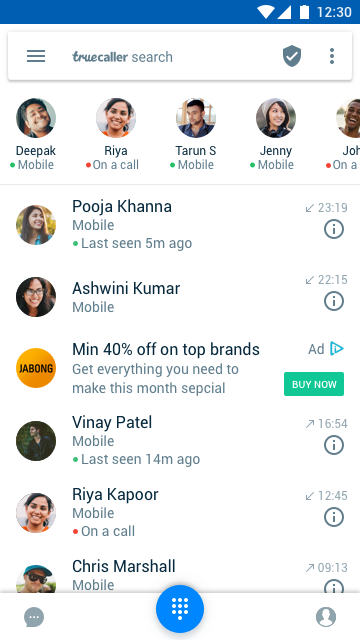 Knowing its target audience uses mobile frequently, Jabong launched its first-ever Truecaller campaign to promote its week long sale. The Indian Fashion e-commerce portal worked with GroupM & Truecaller to run a highly efficient campaign and made smarter decisions about where to spend its ad budget in order to drive quick awareness. 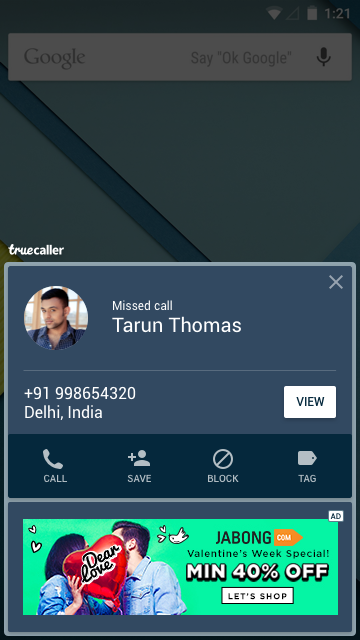 As part of solution to its objective, Jabong was given a Truecaller Roadblock. This entitled Jabong to own Truecaller for an entire day. Roadblocks are a sure-fire way to create massive impact at scale by owning all the inventory on the platform for a day. The ads used Valentines Day creatives displaying a 40% off promotional offer. It also included a “Shop Now” action button to bring people to the website, where they could enter the Valentines Week Special Sale & make a purchase.